I'm so glad I live in a world where there are Autumns and Autumns not only mean breeze, the colours when even leaves look like flower but also the season of festivals. Its Autumn when so many Hindu festivals are lined up which parade one after the other. 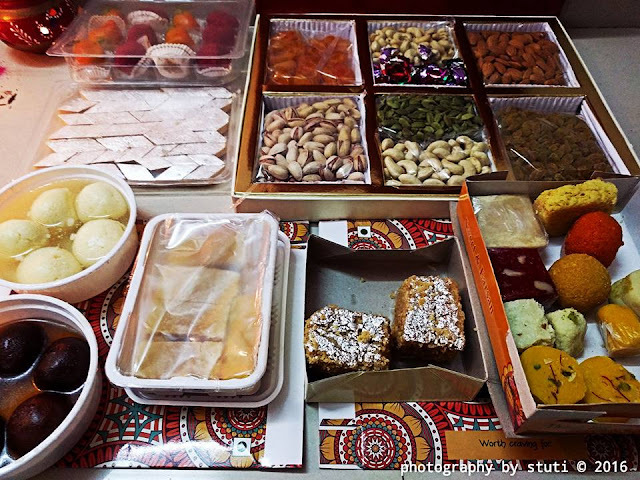 First Navratri, followed by Dushera, Dhanteras and Diwali to name a few. 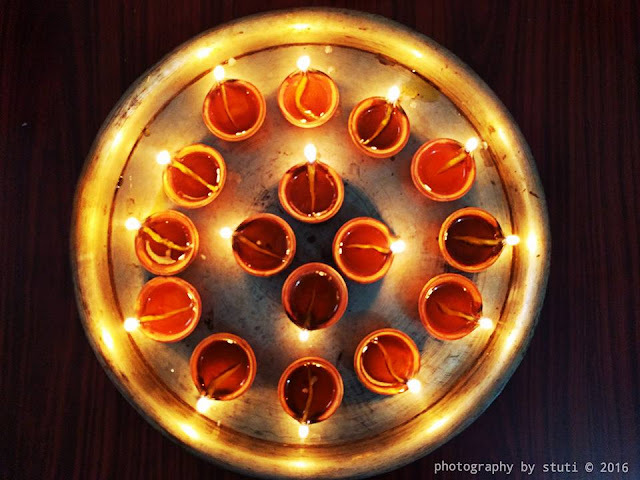 Diwali is the festival of lights which signifies, victory of light over darkness, good over evil, knowledge over ignorance and hope over despair. 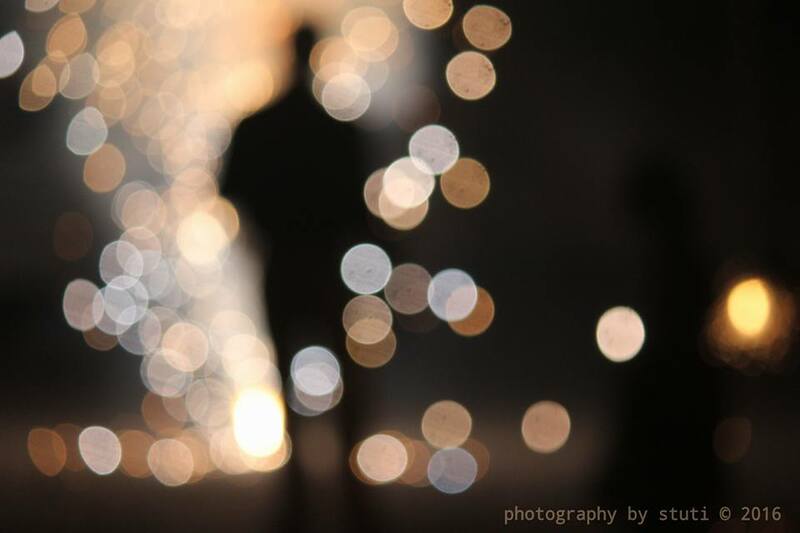 I wait for this festival whole year because it means lights, colours and fragrance to me. We celebrate it with zeal and enthusiasm. 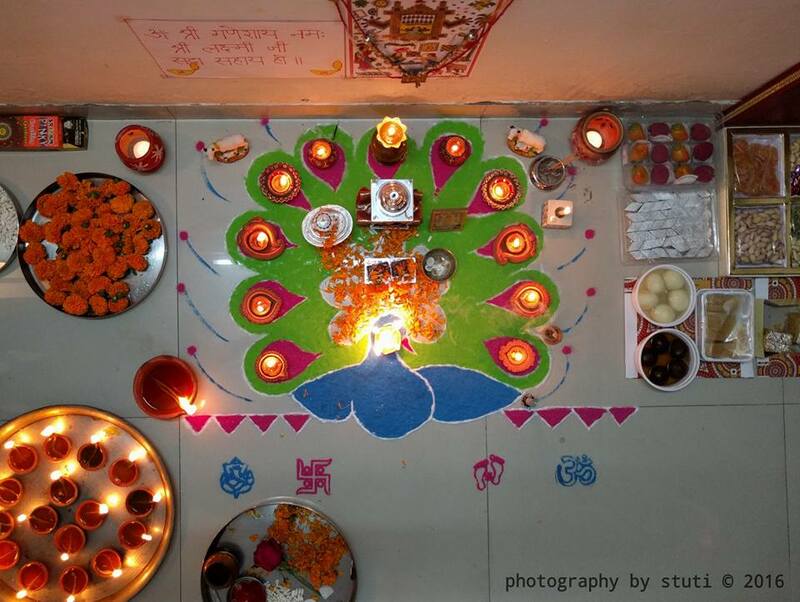 I love lighting my house with Diyas, my sister fills in colours by making rangoli and we pray to Goddess Lakshmi and Lord Ganesha by sprinkling on them kumkum, kheel-batashe and flowers. 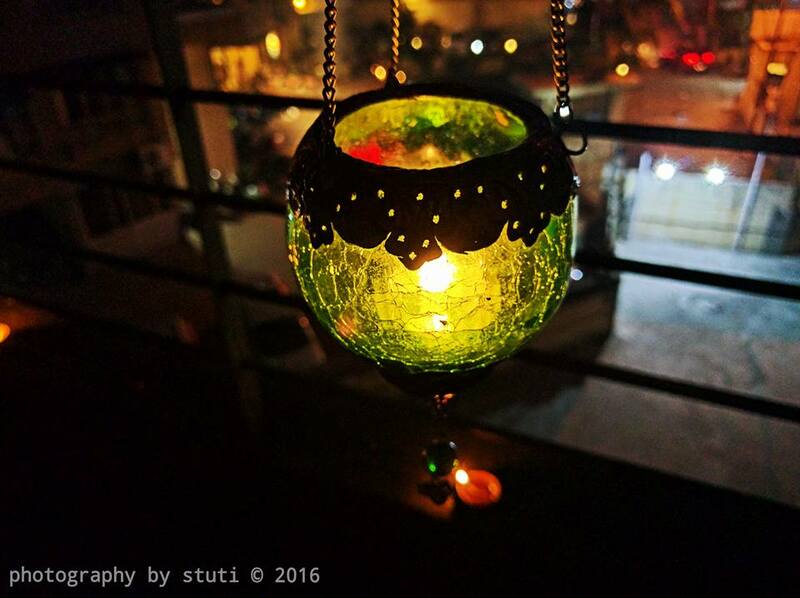 This can change the ambiance of any house. I am not very religious but spiritual in some ways and even though I am unconventional, I love to follow certain traditions like diwali celebration or doing hawan all 9 mornings during navratri because that makes me feel happy. Not only in India but its officially a holiday and being celebrated in many other countries viz. Guyana, Fiji, Malaysia, Nepal, Mauritius, Myanmar, Singapore, Sri Lanka, Trinidad and Tobago, Britain, Indonesia, Japan, Thailand, USA and Australia among the Hindus world over. In fact this is the first time in 2016 when the UN headquarter was lit up for Diwali. 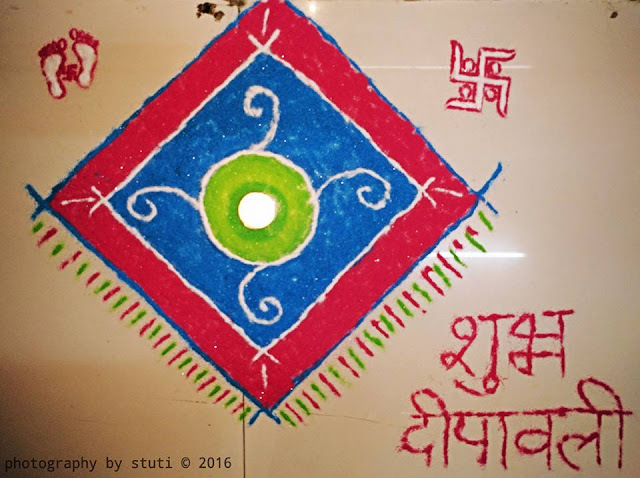 To share my love for Diwali with people who celebrate this festival and also who belong to different ethnicity from around the world, I am sending across Diwali Postcards from India. But more than anyone its for those soldiers who without caring to celebrate or get leave to celebrate are 24×7 keeping eye on evil to protect us, so that we can celebrate festivals safely. 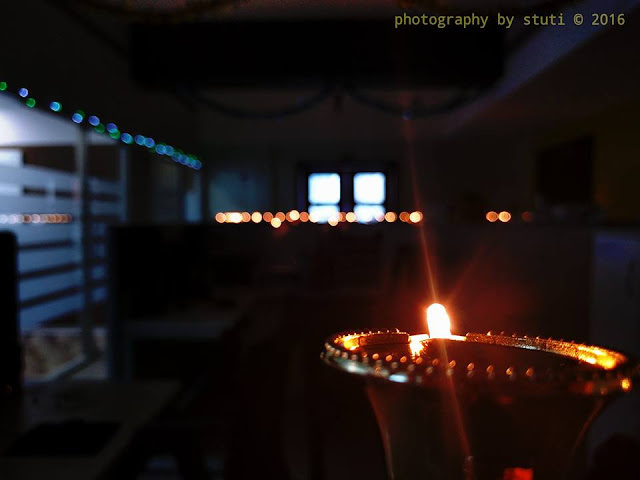 When Tiny lights pierce through the darkness giving way for hope and positivity that's Diwali.